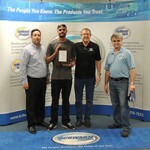 Schwarze Industries has trained and trusted dealers throughout the United States and internationally. Most likely there will be a dealer near you. There is even a convenient dealer locator on the Schwarze website. 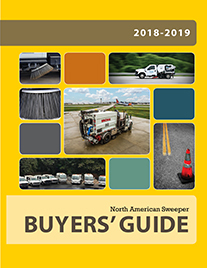 Cordonis is committed to teaching sweeper owners how to properly maintain their sweepers thereby extending the life of the sweeper and saving money in the long run. “As your sweeper gets older, some of the vital parts are aging at the same time, wearing out and losing their initial performance status. That family-man mentality shows in Cordonis through his commitment to share his knowledge with sweeper owners. He has outlined the following maintenance tips to help owners keep their sweepers in good working condition longer. “For those in the northern states, winter is a time when special care has to be taken to keep sweepers in top running condition. Cold temperatures, salt, sand and icy conditions can keep your sweeper from going strong. “When sweepers are out cleaning up the salt and sand mixture off the roads, the salt gets in between the solenoid’s cartridge and magnetic coil. In those instances, once a week, the coils need to be taken off the screw-in valves that they slide on. Using fine sand paper clean any salt corrosion from the coil and valves and apply di-electric grease onto the valves. This will minimize the ability of the salt to reenter. “The sweeper’s water system is another frequent victim of cold weather. If you don’t have a heated building where you store your sweepers when they’re not in use, you have to make sure your water system is completely drained and all your lines are empty. “Always refer to your sweeper owner’s manual for specific instructions. There is a specific section in your sweeper manual for winterizing your sweeper, if you follow those procedures, your sweeper will get through the coldest winter without sustaining any damage. 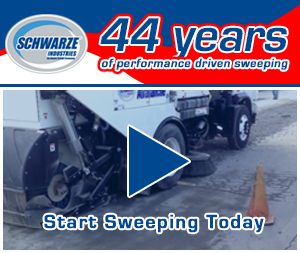 “Every Schwarze sweeper manual comes with a detailed maintenance schedule with specific dates and times to easily keep track of your sweeper maintenance throughout the year. 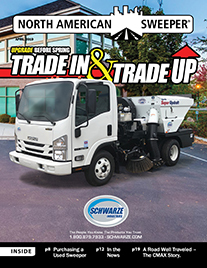 “The most recent up-to-date operation and maintenance manuals are available on the Schwarze website. Even if you are running an older Schwarze model sweeper (yes, when taken good care of they run for years and years) our customer service representatives are always happy to email you a copy of this section from the original manual when needed. Make sure to give them a call at 800-879-7934. “Interviews should not solely determine the ‘yes’ decision for you. You will hire someone you like or who says something that resonates with you if you just go by the interview, and that will be dangerous because each of us has our own internal standards that may or may not be objective. “Of course, you should still interview, because an interview will uncover things like whether they show up on time and are prepared for the interview. You can see if they have needle marks on their arms or twitch strangely. Do they get 15 cell phone calls while you are trying to talk to them, and other “no” things? “Someone who doesn’t follow directions well, believes they are too good to follow someone else’s process, or does not pressure-check to be sure the oil filter is on tight, will blow a $5,000 sweeper engine on their third day of work. “Do not leave anything out of this process no matter what. Some people will self-eliminate and will not subject themselves to part of the process, in which case, they saved you some time and an empty cash drawer. “After you’ve made the hire, enroll the new employee in a factory training session with Schwarze. We provide training for dealers and contractors year round. They will learn hands-on the ins and outs of a Schwarze sweeper. We will even give them an official Schwarze training certificate after they graduate. 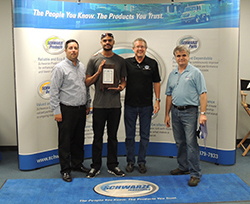 “Schwarze Industries has trained and trusted dealers throughout the United States and internationally. Most likely there will be a dealer near you. There is even a convenient dealer locator on the Schwarze website. “Ask around. Colleagues in the sweeping industry have sweepers and have to get them serviced somewhere. Find out how they feel about their mechanics. Internet sites and discussion forums like NAPSA and The World Sweeping Association can provide ‘sanity checks’ on prices and reasons for repairs. 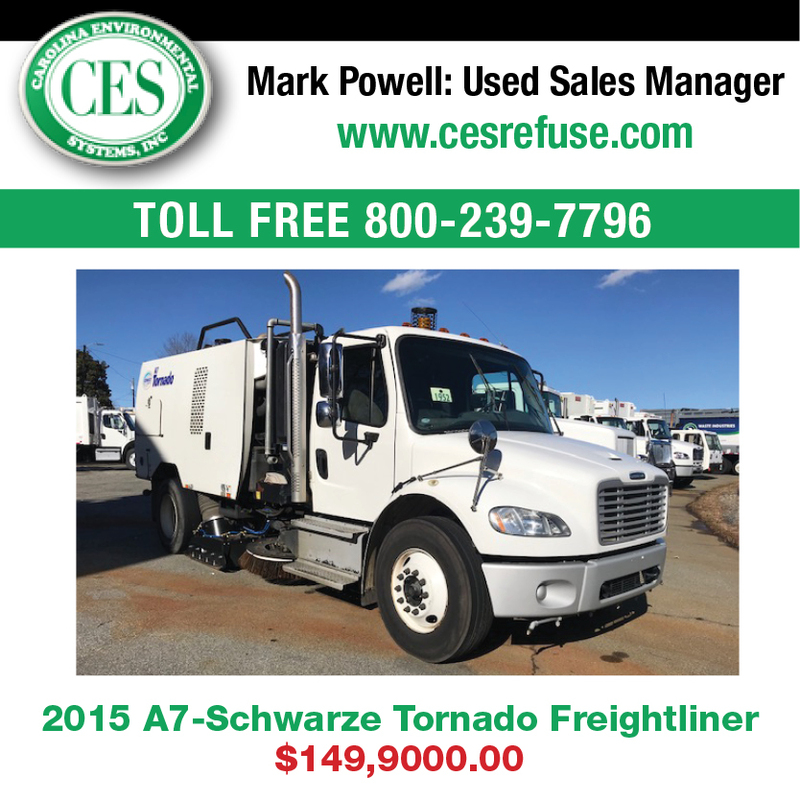 “The advantage of a Schwarze dealer is that they have parts on hand. They can often save time with parts taken from a comprehensive inventory rather than waiting for them to arrive from elsewhere. “Always ensure the mechanic uses original-equipment-manufacturer (“OEM”) parts. Sweeper manufacturers make, or obtain through their parts suppliers, and sell spare parts which should match the originals perfectly, known as OEM parts. Dealers normally use these. “There are a few professions known for having some less-than-honest practices. Unfortunately, mechanics are one of these professions. If your sweeper breaks down, you’re going to need a darn good mechanic. If you are not choosing a trusted dealer take a look at some tips to spot a bad mechanic, so you can make sure that yours is a good one. will call if the repair might be higher than quoted. Schwarze dealer if you can. • The use of technical terms does not equate to expertise. watching, and you won’t be ripped off. if the mechanic does not guarantee the parts. wrong, the mechanic should be willing to explain.